Admins & Managers can invite, edit and remove users. More on Roles & Permissions. Note: please contact Support to edit an existing user's email address, including your own. Invite User - user will receive an invitation email and set their own password. Useful in most cases. New User - set a password when creating the user, who will not receive an invitation. Useful for setting up users before they are ready to start using Trail. To invite a new user to join your company, select the ‘Invite User’ button, enter the user’s details and set responsibilities. More on roles and permissions. 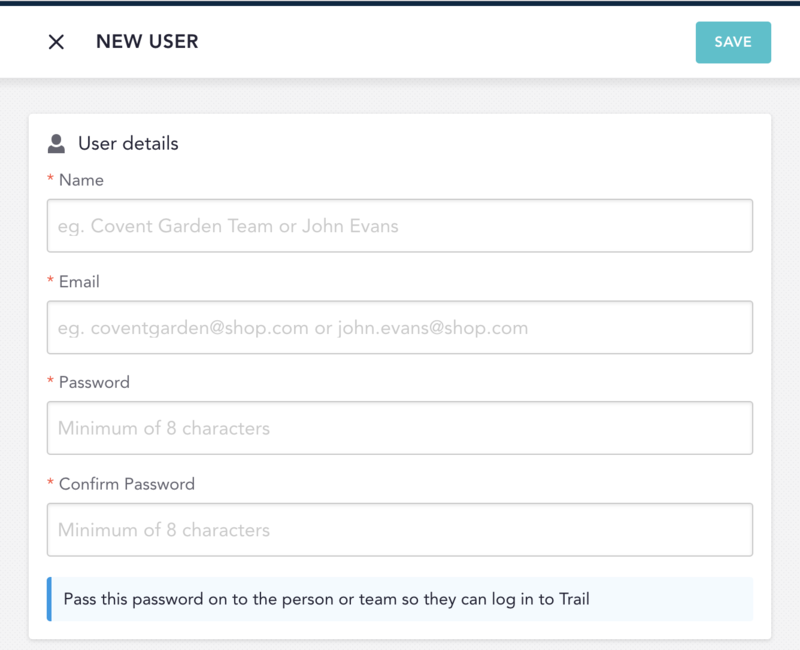 When you’re happy, select ‘Send Invite’ and the new user will be sent a 'Welcome to Trail' email with instructions to create a password and log in to their account. This is useful if you want to set up a few Trail accounts before giving out access at another time, or if you want to manage passwords for everyone. 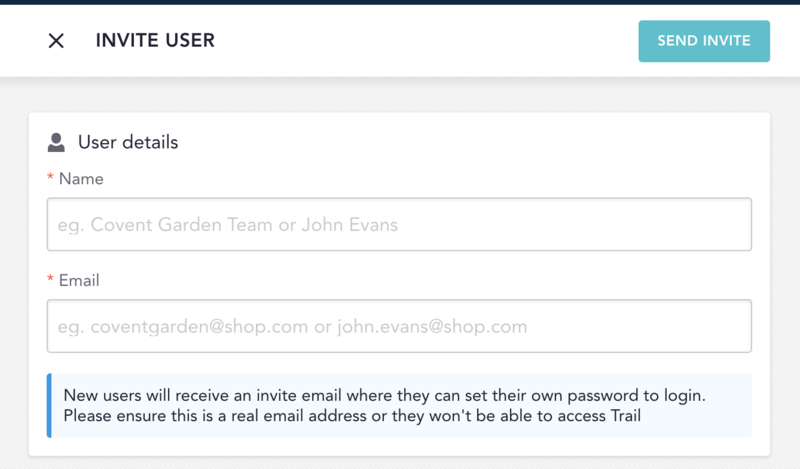 If you’ve set up the account as a Manager or Team member, you’ll need to assign a Site or Area. If you ever need to delete a user from your account, find the user in your list of users and simply select the small green x icon to the right of their name. You’ll be asked to confirm and then the user will no longer have access to Trail.